1. Use an electric beater to beat cream and sugar in a bowl until firm peaks form. Add the coconut cream and beat until combined. Mix Al Rabie Pineapple juice with casted sugar in saucepan. Reduce mix until thick consistency. Add lime juice and pineapple cubes. 2. Process the cookies in a food processor until coarsely crushed. Reserve 2 tablespoons. Divide half the remaining biscuit among eight 310ml (1 1/4-cup) capacity serving glasses. Top with half the coconut cream mixture then half the pineapple. Top with remaining coconut mixture, cookies and pineapple. Sprinkle with reserved biscuit. Add fresh pineapple leaves to decorate, if desired. 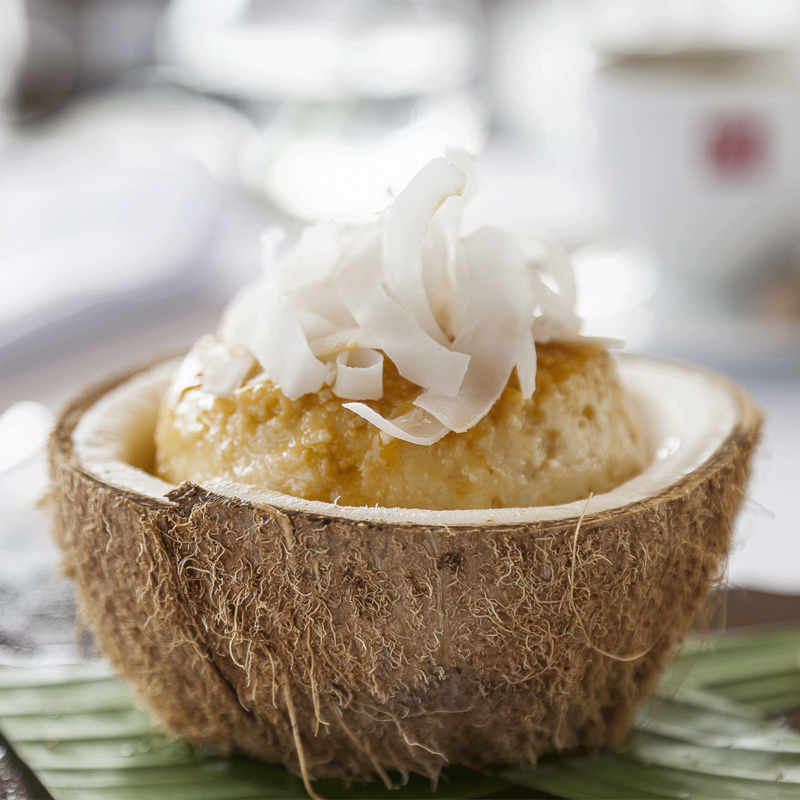 • Coconut Pineapple Dessert,the way we like to enjoy it.